500 Series Top Heat Laminator - Recognition Systems, INC. Allows for a wide range of materials to be laminated such as dry-erase boards, vehicle graphics, window graphics, photo mounting and much more! Easy loading with 3" Quick Grip swing out shafts. Super versatile with roll-to-roll capabilities. 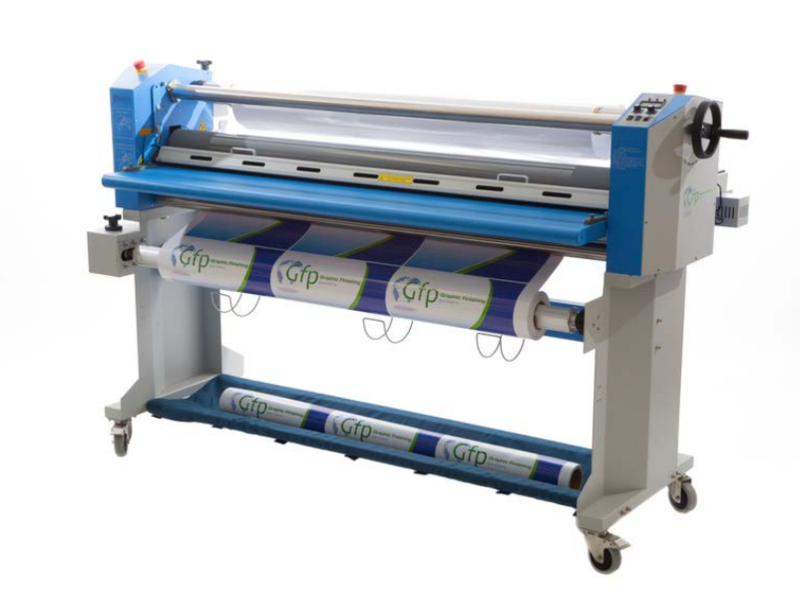 Dimensions: 88" x 32" x 28"
This 500 Series Top Heat laminator is sure to make your production even better. The 563TH Top Heat Laminator is perfect for someone looking for maximum productivity. It comes equipped with front and rear swing out shafts which means less time on set-ups and changes and more time working on finishing. The 3" Quick Grip swing out shafts allow for easy loading. 88" x 32" x 28"
​76" x 33" x 5"
​16" x 9" x 12"
67" x 5" x 4"